Remember a little while ago when I wrote that post about accepting changes to the goals and challenges you set yourself? As in, those life plans you hatched at 16 whilst eating microwave chips and drinking Capri Suns, that for some ridiculously and insane reason you still feel like you have to stick to? Yeah, well Katie Piper will be hosting a live Twitter chat with Post-It (yeah huh, as in the cutsie little sticky pads you use to write down your whirlwind blog post ideas and to remind yourslf to pay bills…) on Tuesday 21st based around that very idea. The national inspiration and the stationery company have paired up for the Make It Happen campaign, which is basically, as the name suggests, about making your dreams and aspirations happen. Katie’s view on this, as someone who’s overcome a heck of a lot of personal struggles to get to where she is now, is to adapt your goals and ambitions depending on the road life takes you down, and I TOTALLY stand by her on this. My dreams and aspirations when I was younger involved getting married at 26 and having a baby ay 27, they also involved being an editor of a magazine. Whilst I’m definitely still planning on the whole marriage and babies thing, there’s no denying that life has crept up on me at a hideously alarming rate, and well, 26 is going to hit me in a matter of months and y’know what? There’s no ring on my finger and that’s OK. It’s OK because my perspective of where I’d be at this point in my life when I made those plans as a teenager are very different to the reality and actually, my career’s picked up in a big way recently that means my lifestyle wouldn’t really accomodate looking after a family just yet. And as for the mag editor thing? Back then I had no idea how much the world of digital journalism and content was about to kick off and now my biggest professional dreams are around this blog and expanding my own brand rather than anyone else’s, which, let’s be honest, is far more exciting and exhilirating. So yeah Tuesday lunchtime, get your questions ready for Katie and get seriously inspired and passionate about making your life as fulfilled as you can. 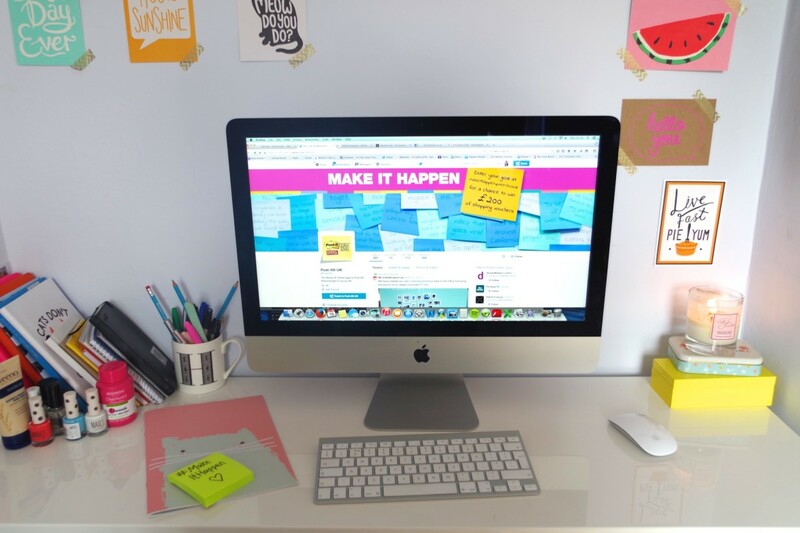 She’ll be answering questions tweeted at @PostitUK using the hashtag #MakeItHappen between 1pm and 2pm. I’m currently weighing up what I’m going to ask, because let’s be honest, you don’t get anywhere in life without seeking advice from people who are more accomplished than you and learning from their professional attitudes.